Temperatures across the country are beginning to warm up at the start of this week. But this past weekend, people living in the Midwest, Northeast and even the Southeast were likely cursing the Groundhog's forecast of an early spring as some of the coldest air of the season hit . Temperatures dipped to dangerously cold levels in the Northeast, and many places in the Midwest didn't see temperatures rise above freezing for days in a row. People in Florida were wearing sweaters! That arctic chill is moving away now, and it's getting replaced by much warmer air. 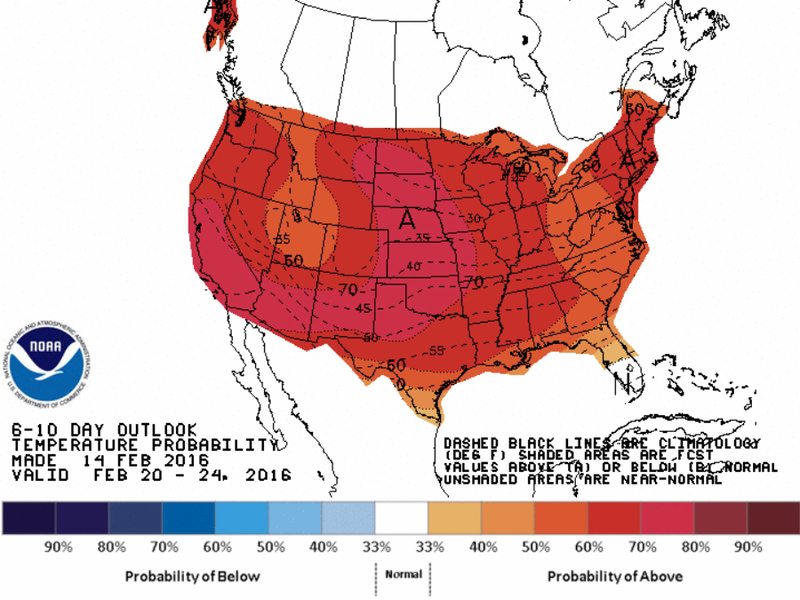 The latest long-term forecasts show above average temperatures across the entire lower 48 states except for the southern half of Florida for the upcoming weekend and most of next week. 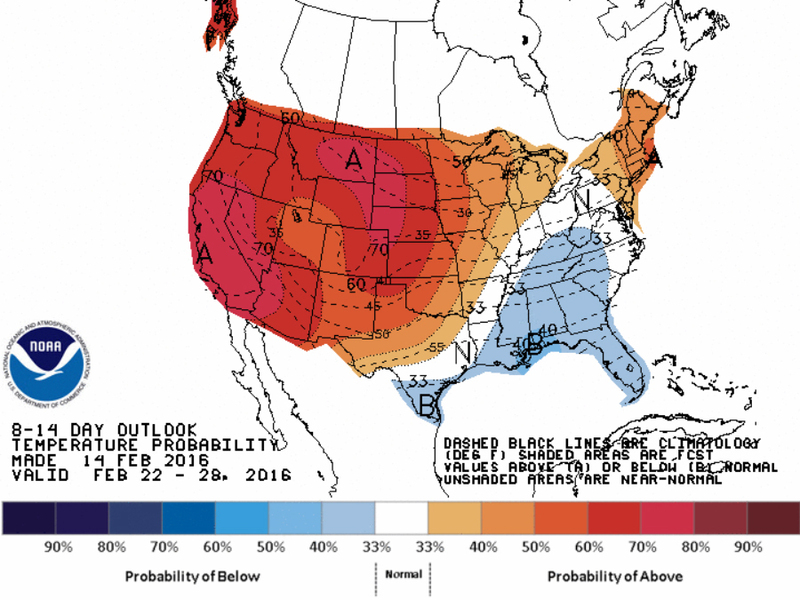 As February winds down, most of the country is still looking at warmer air. The only spots that could expect some chillier air are likely in the Southeast. After that, March begins, but the third month of the year can still be very volatile with big temperature swings and everything from blizzards to tornado outbreaks, so your Storm Shield App will likely be going off soon if it hasn't already.